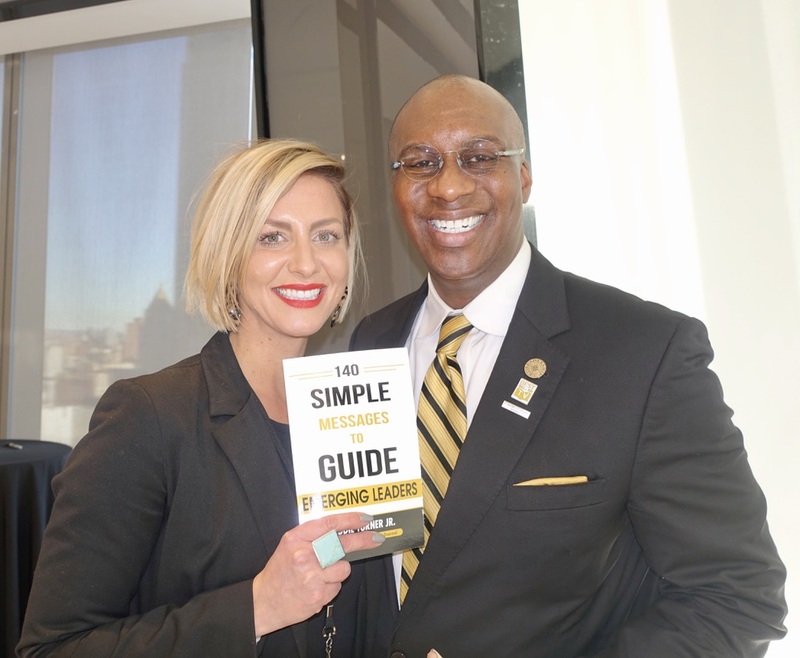 Eddie Turner's book signing at the C-Suite Network at Condé Nast in NYC. 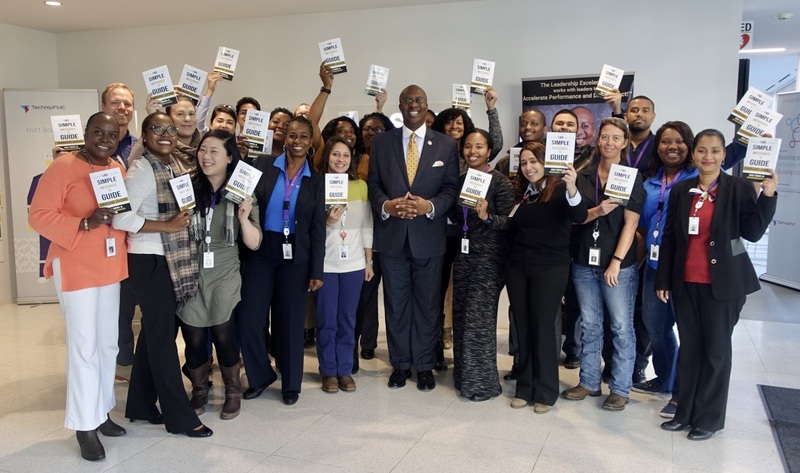 Eddie Turner's book signing at TechnipFMC. 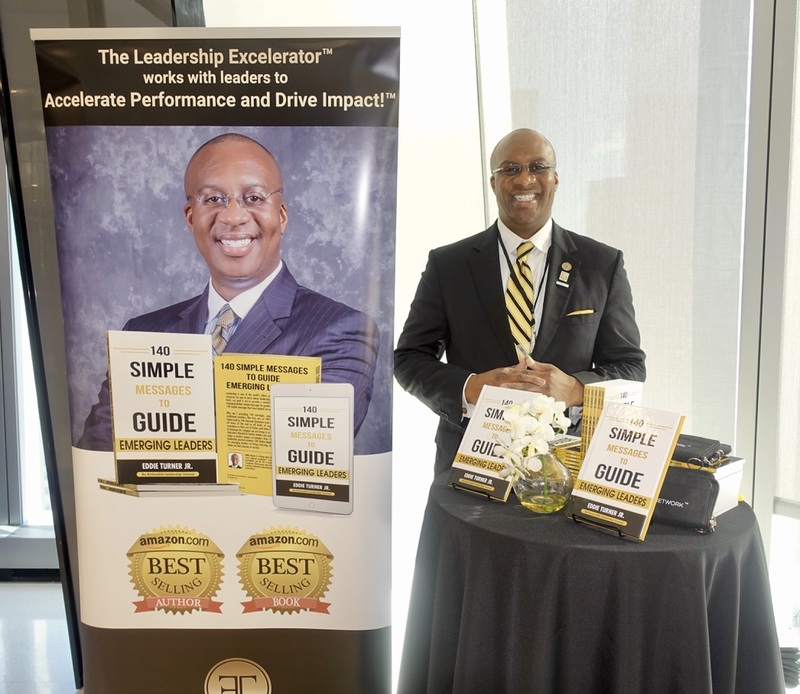 NEW YORK & HOUSTON - Dec. 13, 2018 - PRLog -- EDDIE TURNER, JR announced 140 SIMPLE MESSAGES TO GUIDE EMERGING LEADERS has been selected into the C-Suite Book Club, the premier source for the world's leading business books for c-suite leaders, business executives, and celebrities. 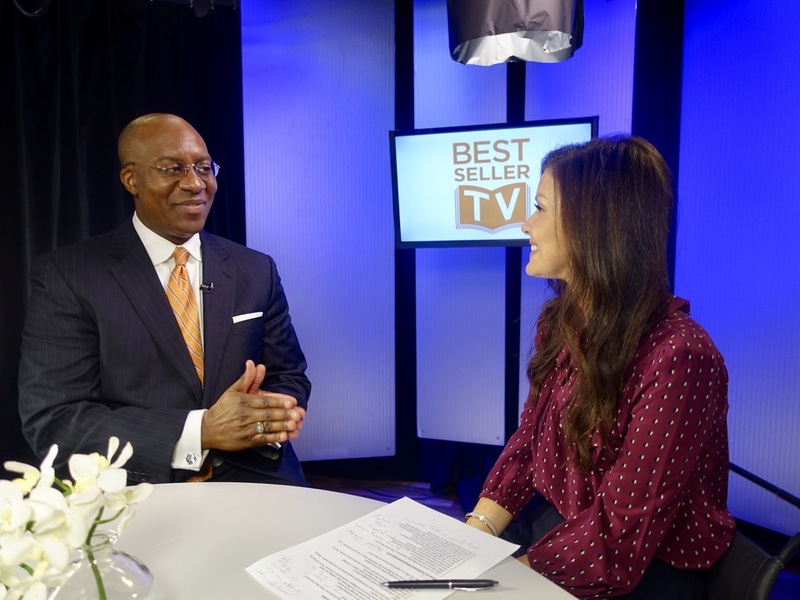 Featuring premium content from top thought leaders, designed to increase knowledge, deepen understanding, and build skills to enhance readers' personal and professional lives, EDDIE TURNER, JR, the author of 140 SIMPLE MESSAGES TO GUIDE EMERGING LEADERS, has been selected to be part of C-Suite Book Club as a premier author. In his extraordinary debut, EDDIE TURNER JR gives readers the opportunity to learn how to support emerging leaders. The book is available on Amazon as a hard cover, paperback, and Kindle Edition. It spent 10 days in the Top 100 Paid Best-Selling books in the Business Coaching & Mentoring category on Amazon.com. It peaked at #26. On December 10, 2018 it was released on Audible.com. Organizations who want to accelerate the development of emerging leaders call Eddie Turner, Jr, The Leadership Excelerator™. He has been described as "The Consummate Friendly Professional" and has worked for several of the world's "most admired companies" such as Accenture, Apple, Dell, Deloitte, ExxonMobil and GE. He is passionate about working with leaders to "Accelerate Performance and Drive Impact! "™ through the power of coaching, facilitation and speaking. 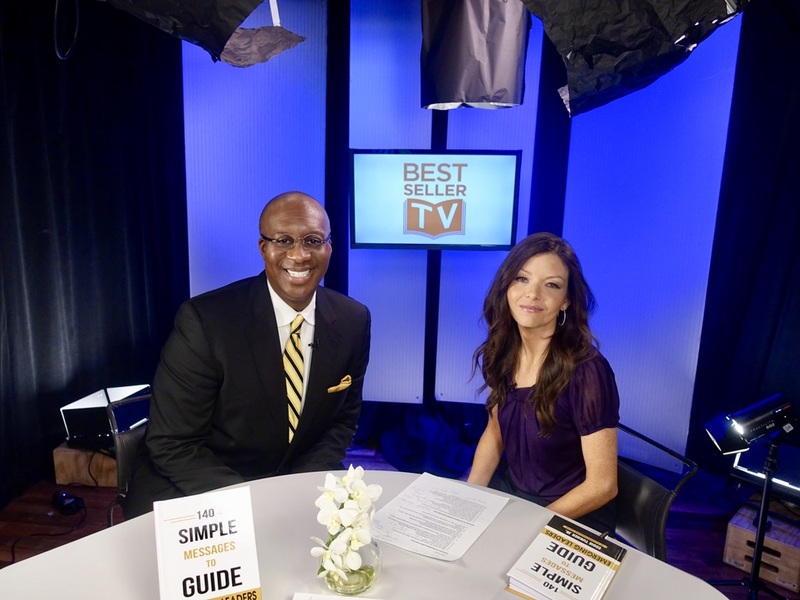 Eddie is a C-Suite Network Advisor, a professional speaker and a national media commentator who holds international certifications as a trainer, facilitator and coach. He is an alumnus of Northwestern University where he studied Leadership and Organization Behavior and of the John F. Kennedy School of Government at Harvard University where he completed the "Art and Practice of Leadership Development" executive education program. Eddie is member of the global network of Harvard educated Adaptive Leadership practitioners in the Adaptive Leadership Network. C-Suite Book Club is the premier source of the world's leading business books for C-Suite leaders and business executives, featuring bestselling authors covering a range of topics, including sales, marketing, leadership, social media, finance, and management. C-Suite Book Club features premium content from top thought leaders, designed to increase knowledge, deepen understanding, and build skills to enhance readers' personal and professional lives. Visit C-Suite Book Club online and follow them on Facebook and Twitter. For more information, visit http://www.c-suitebookclub.com.